It's been a while since we've seen something by the great Legonardo Davidy, but he's back and in fine form. 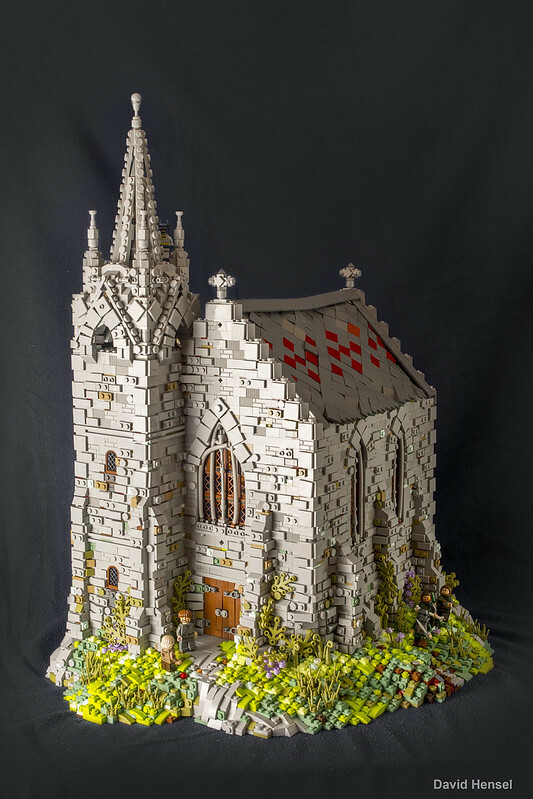 Just look at all the rich details and texture in this classic gothic church! It's a study in mixing grays, studs, profile bricks and brackets to achieve a look that's very mottled, but pleasing to the eye. This kind of thing is easy to get wrong, and this is a perfect example of getting it right.